Sooner or later, everyone gets caught in a situation where an urgent print is required and the printer won’t work. 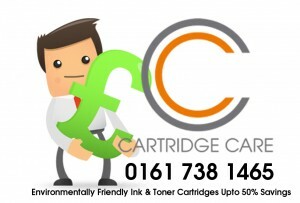 Fortunately, a vast majority of the problems that arise are usually easy to fix & of course if you need any further assistance call Cartridge Care and we will see if there is anything we can do over the phone. Problem: The printer does not work after replacing a toner cartridge. Problem: Blank pages or thin dark lines along the length of the paper. Solution: Clean the printer and test a page; if the symptom still persists, install a new toner cartridge. If a new cartridge does not rectify the problem, then check the cotton “cleaner-bar” located inside the printer. If this is dirty, it must be replaced. Usually a replacement comes with every new toner cartridge. If the problem is still there, then turn off the printer, open it, and check the print cylinder. If the cylinder is damaged then it has to be taken in for repairs. Problem: Toner smearing the paper. Solution: If the paper gets smeared from the toner, then the first step is to clean the printer and try a test print. If the problem is still there, then try installing a new cartridge. If an extra one is not available, just borrow from a friend for trouble shooting reasons; install it in the printer causing trouble, and test run a page. If the new one fixes the problem, then get a new toner cartridge. Problem: There are marks on the back of the page. Solution: The cartridge is leaking and needs to be replaced. Problem: There are repetitive defects or horizontal lines across the page. Solution: The toner cartridge is not sealed properly. Remove it and make sure everything is properly closed, then replace it and test another print. Problem: There are random blotches on the printed paper. Solution: The waste bin of the cartridge is full. Remove the cartridge, clean it out, and after replacing it, run a test print. Problem: The paper won’t load properly. Solution: Printer paper normally comes in reams and each ream is carefully wrapped. Keep the paper clean and dry and store it flat in its original packing. Printers get dirty when dust or flakes collect on the printer. If left unchecked, the printer will start producing documents of low print quality. A toner cartridge has a life expectancy of roughly three to six months. It is a good idea to keep a few basic cleaning supplies on hand and clean the printer each time a toner cartridge is replaced. Some of the things needed in the printer cleaning kit would be some lint-free cloth, alcohol, a small brush, gloves, and a spray-n-wipe cleaner. Sometimes, a dirty printer will make it look like it is a toner cartridge problem. To clean the printer, remove the toner cartridge and set it to one side. Using a small crevice attachment, vacuum the area that houses the cartridge. Use the lint-free cloth to wipe this area to thoroughly remove any dirt. Next, wearing gloves, lift the flap found under the toner cartridge and wipe the roller found inside the cartridge with a soft cloth. Do not touch the rollers with the fingers as the oil on the skin can damage the roller. Try turning the roller to make sure it moves, if not clean it with a small brush and alcohol. Finally, replace the cartridge in its place in the printer and load a cleaning sheet in the printer. The cleaning sheet is a bit sticky to help remove any debris still remaining. The printer should work like new. Properly maintaining the printer and printer cartridge will ensure long lasting use with little trouble.